NOW SHIPPING the brand new Daniel Amos album, Dig Here Said the Angel! "It's phenomenally different, and yet still Daniel Amos at its core. 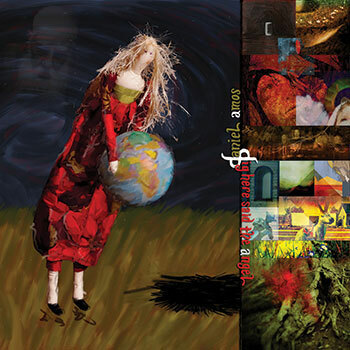 The richness of sound is extraordinary... the songs are among their best..." - Tuesday Morning 3 a.m.
At long last! 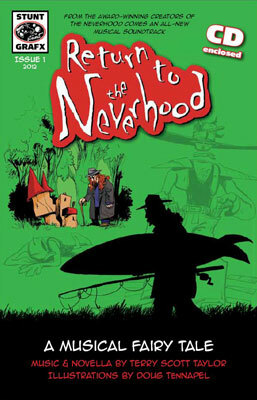 From creators Doug TenNapel and Terry Scott Taylor, The Return to the Neverhood features a 36 page comic book written by Taylor and illustrated by TenNapel, and a 19 track soundtrack CD of brand new music inspired by the Neverhoood! If you are a fan of Terry's soundtracks to the Neverhood, Skullmonkeys, Boombots and other TenNapel creations, you won't want to miss this! Watch for more to be added in the future! Preorder Now! DA's classic Horrendous Disc as a remastered, Ultra-Deluxe 5-CD box set featuring previously unreleased songs, never-before-heard alternate versions of album tracks, alternate mixes, rare live tracks and more! Also Available: The Ultra-Deluxe Vinyl Box Set and the Horrendous Book! Click Here to find out what its all about! Click Here to sign up for the Official Daniel Amos, Terry Scott Taylor and Swirling Eddies news list!